However, the undercover car containing Israeli soldiers was discovered and resulted in a firefight. Since Sunday, an estimated 460 rockets have been fired into Israel by Palestinian militants since Monday night. Among the targets was an Israeli bus carrying young soldiers, of which one 19-year-old was critically wounded. Israel responded with aerial bombing attacks on militant targets, decimating a Palestinian television station. The fighting on both sides has threatened to undermine talks of a ceasefire brokered by Egypt. The multilateral talks are in response to the uptick in violence in recent months, during which 170 Palestinians were killed in Israel’s forceful response to protests along the Gaza border. Negotiations have been successful, namely through compromises to increase electrical power and permit the influx of millions of dollars in aid to Gaza. Qatar in particular sent 15 million dollars in an attempt to ease tensions and alleviate the growing humanitarian crisis in Gaza. As Israel takes a hardline stance to the violence, reports reveal Hamas is not nearly close to running out of ammunition. The rivalry between Hamas and Israel is not a new phenomenon. Following Hamas’ victory in elections in 2006, attempts to broker a lasting settlement to decades of tensions have faced new difficulties. The 2006 elections essentially ousted Mahmoud Abbas, the leader of the umbrella organization Palestinian Liberation Organization (PLO) who had signed peace agreements with Israel. Hamas, in contrast, does not recognize Israel’s right to exist. The unwillingness by either side to back down poses a major obstacle not only to the present ceasefire agreement but also a lasting settlement to decades of strife. The attacks of the past few days have resulted in the death of five Palestinians, as well as fifteen others wounded. On the Israeli side, one person has been killed, and an estimated sixteen wounded. 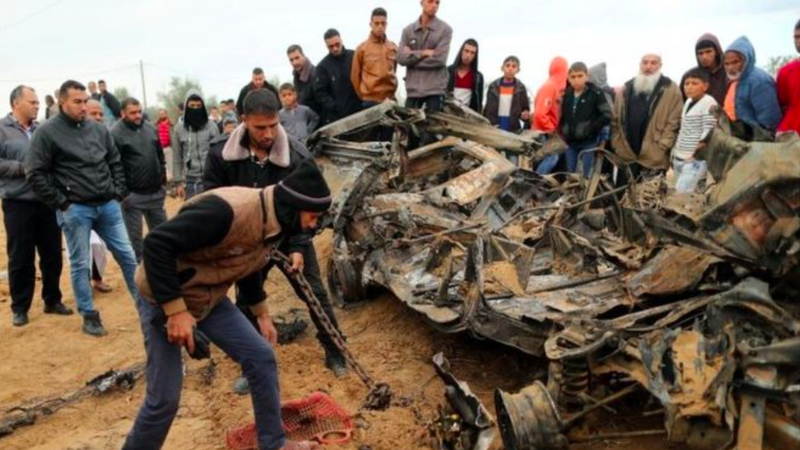 Egypt has mediated a brief cease fire, but the escalation in violence still poses a major security risk along the Israel-Gaza border.